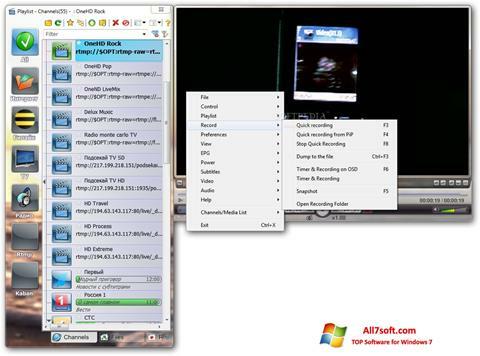 SimpleTV for Windows 7 - A multimedia player for streaming IP TV viewing. The application uses a custom set of links, can pick up the contents of playlists, supports simultaneous display and recording of the air from several URLs, uses built-in codecs to convert data. The utility can work with streaming audio, allows you to sort channels, group them into subject sections, create a list of favorites. Uses the frequency equalizer, includes the ability to change themes and download the current program guide for the selected channels. You can free download SimpleTV official latest version for Windows 7 in English.